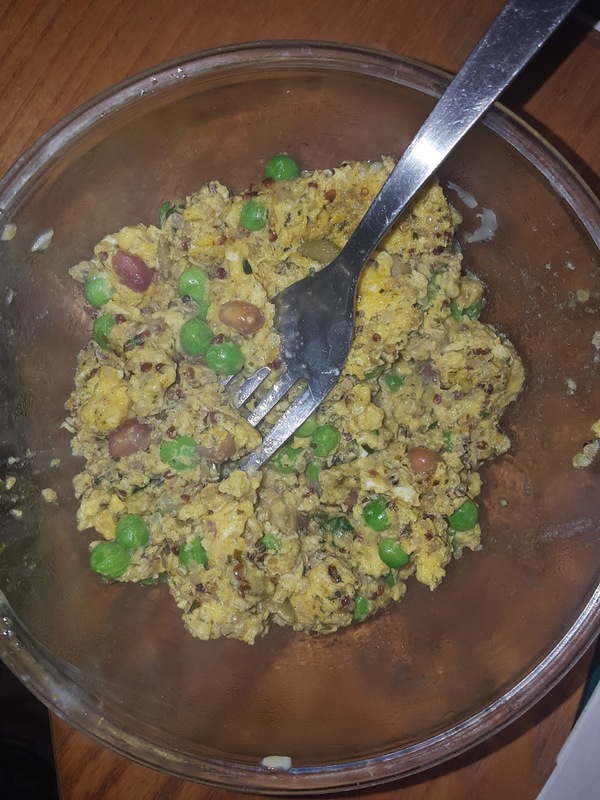 My Portfolio Mind: Quick and easy scrambly omelette recipe! 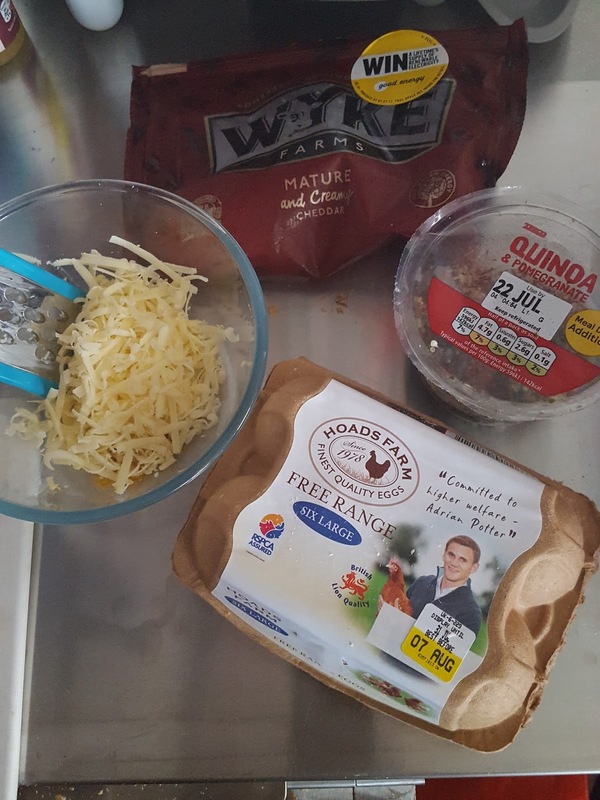 Quick and easy scrambly omelette recipe! I'm hardly renowned for my culinary skills but I enjoy this quick recipe of my own devising, so I thought I would share it. 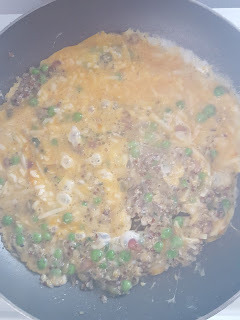 Beat the cheese and spices into the eggs and then add to the pan. Stir it to make it scrambly or leave it to make an omelette. To reduce washing up I served it in the bowl I'd mixed the eggs in. Yummy, fairly healthy, and it took about 10mins once the pan was hot.